All prices on this site are shown in Japanese currency Yen (JPY). Before you place an order, please confirm the true value in your currency desired by clicking below. 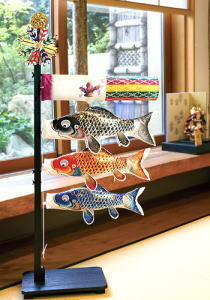 Koinobori, carp windsocks, have been originally and traditionally displayed and enjoyed outside in the garden. 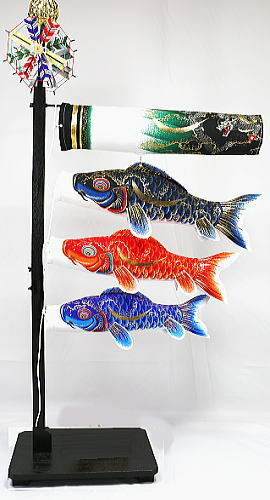 However, nowadays in Japan, especially in the urban areas, there are a lot of people living in the apartments/condominiums without a garden, and many families are displaying koinobori in the room. 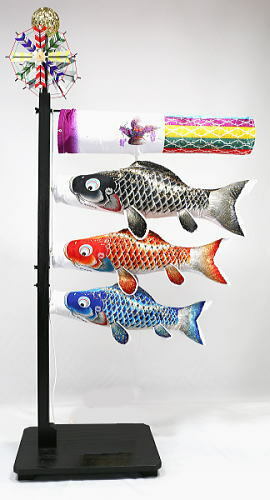 Indoor koinobori is now very popular here in Japan because it is very easy to set up and maintain unlike outside. Copyright (C) by eCOM-project, Inc. All rights reserved.